Only 150 metres from Taksim Square, the modern heart of Istanbul, Q Pera Hotel is 200 metres from Istiklal Street with its cafés, bars and shops. Guests can benefit from the concierge desk on site and free WiFi is accessible throughout the premises. 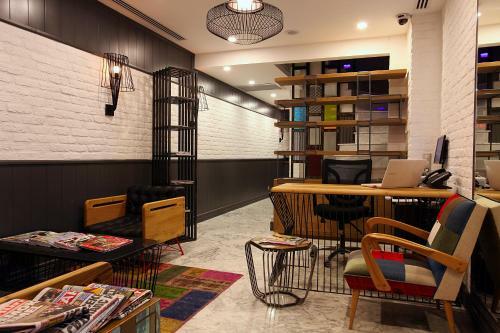 Only 150 metres from Taksim Square, the modern heart of Istanbul, Q Pera Hotel is 200 metres from Istiklal Street with its cafés, bars and shops.